For such an obvious and unrivalled outcast, Lazar Markovic is by no means the forgotten man at Liverpool. The Serbian has been due a permanent move elsewhere for well over a year now and could finally part ways with the club this month. Markovic arrived on Merseyside in 2014 for a fee of £20million, but struggled to cement a starting role under Brendan Rodgers. With no place in Jurgen Klopp’s plans, he has since been sent out on loan four times with the likes of Fenerbahçe, Sporting Lisbon, Hull City and Anderlecht. A spell with the latter over the second half of last season looked the likeliest to evolve into a full-time switch, before a failure to agree personal terms saw the move scuppered. Mexican outfit Club America have now expressed an interest in the winger and have until the country’s Thursday deadline to complete a deal, according to ESPN. Now would be the ideal time for Liverpool to find a new home for the 24-year-old in order to avoid losing him for nothing when his current contract expires in the summer. 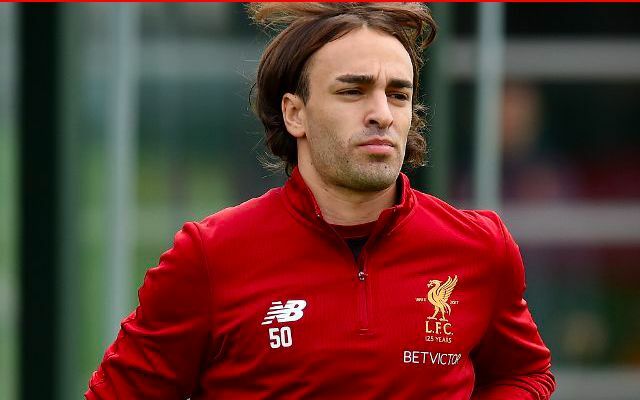 Markovic has not made a senior appearance since May 2015 and has predominantly worked with the U23s since returning to Melwood last year. He was on target on Thursday night to help Neil Critchley’s side towards a 2-0 win over Swansea City in the Premier League International Cup.